Lord Stern's talk "The State of the Climate and What We Might Do About It" was recorded in New York last month in the lead up to the U.N. Climate Summit. 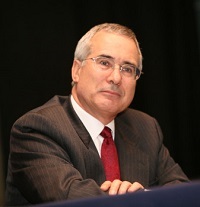 Lord Stern has been Chair of the Grantham Research Institute on Climate Change and the Environment at LSE since it was founded in 2008. TED (Technology, Entertainment, Design) is a global set of conferences and talks owned by the private, non-profit Sapling Foundation. The talks have been offered for free viewing online since June 2006.